The Pakistan Institute of Nuclear Science and Technology (popular as PINSTECH), is a multiprogram science and technology national research institute managed for the Ministry of Science by the Pakistan Atomic Energy Commission (PAEC). Located in Nilore, it maintains a broad portfolio in providing post-graduate and post-doctoral research opportunities in supercomputing, renewable energy, physical, philosophical, materials, environmental and mathematical sciences. Researchers and scholars are invited from country's leading universities, its primary focus are to create scientific knowledge and technological solutions that build the nation's expertise in key areas of science; increase the ability of clean and peaceful use of nuclear energy; restore and protect the environment; and contribute to national security. Conducting scientific research and publications in nuclear field at the international level. Technological development on nuclear sciences for peaceful usage. The PAEC Chair Dr. I. H. Usmani wanted a premium nuclear facility whose operations are roughly based on the American facilities such as ORNL, ANL, LLNL, and SNL. Many scientists educated at the ORNL and ANL were initially asked to join the PINSTECH. Designed by world-renowned American architect Edward Durell Stone in 1963, the construction was completed in 1965. About the PINSTECH, Edward Stone once inscribed in these words: "This....has been my greatest work. I am proud that it looks like it belongs in this country.."
The scientific library of the institute consisted of a large section containing loaded historical references and literature on Manhattan Project, brought by Abdus Salam in 1971 prior to start of the Nuclear weapons programme under Zulfikar Ali Bhutto. The roots of the institution dated back to 1951 when Abdus Salam– a young and ambitious scientist– returned to Pakistan to join Punjab University. After facing a fierce opposition from his fellow scientists at the physics department of the Punjab University in 1953, Salam soon faced the choice between intellectual death or migration to the stimulating environment of a western institutions from Pakistan. This realization left a deep impression on him and behind his determination to create an institution to which physicists from the developing countries would come as a right to interact with their peers from industrially advanced countries without permanently leaving their own countries. Establishing the world class physics research institute, roughly equivalent to CERN, in Pakistan was a dream of Dr. Abdus Salam who initiated the establishment of PINSTECH. Together with dr. I. H. Usmani, Salam initiated the deal with the United States to established the Pinstech in Nilore and gave its first directorship to nuclear physicist dr. R.M. Chaudhry of the Government College University (GCU). For sometime, the Pinstech became affiliated with the Quaid-i-Azam University in 1967, bearing some special materials testing. Soon, the scientists from Institute of Theoretical Physics at the Quaid-i-Azam University joined the Pinstech to engage research in physics. After the war with India in 1971, President Zulfikar Ali Bhutto orchestrated to established an efforts towards a nuclear deterrence loosely based on Manhattan Project of the 1940s. Salam took over the operations of PINSTECH institute to oversee the research and development, and its eventual production of the weapons in 1972. In 1970s, the Pinstech was an epicenter and a focal point for Pakistani scientists to conduct research in physics wherethe basic and applied science research in PINSTECH picked up its speed, when Pakistani scientists feared that India was rapidly developing an atomic bomb. The facility continues its expansion in Nilore by the Corps of Engineers. As Nilore became restricted and secret city, the site was one of the integral site for the nuclear weapons research. In its initial years, the PINSTECH activities were directed towards reprocessing the civilian-grade plutonium to military-grade plutonium. The worked carried out on 20 different laboratories and facilities ran under Munir Ahmad Khan in 1970s. Its first division, the New Labs was dedicated to the production of the weapon grade plutonium of 239Pu. In 1983, Nuclear Physics Division working under Ishfaq Ahmad successfully produced the 239Pu, a weapon grade plutonium. Throughout the formulative year, the scientists and engineers at PINSTECH carried out technologically advanced research at the PINSTECH. In May 30, 1998, the PAEC scientists and engineers had performed the second nuclear test—codename Chagai-II— of a fissionable device, and the device's weapon grade plutonium was produced at the New Labs. The research reactors at the institute were last upgraded by Munir Ahmad Khan — chairman of PAEC at that time — as he led both Electronics Division (ED) and Nuclear Engineering Division (NED) in 1989. As of today, PINSTECH has been shifted to peacetime research in medicine, biology, materials and physics. Its Molybdenum-42 facility was used to medical radioisotopes for treating cancer. Scientists from Nuclear Institute for Agriculture and Biology (NIAB) and Nuclear Institute for Food and Agriculture (NIFA) had been using the PINSTECH facilities to conduc advanced research in both medical and food sciences. PINSTECH is the most advanced facility in the country having state of the art equipment and instruments for doing R & D work; therefore it remain an obvious choice for the students and researchers from all over Pakistan where they could find many important techniques under one roof. Recently the famous concept of centralized analysis facility has been utilized where a researcher can go and work with any piece of nuclear equipment that the researcher has been assigned. The Central Diagnostic Laboratory (CDL) and Central Analytical Facility (CAF) are the most potent facilities in Pakistan. PINSTECH promotes applications of radiation and isotope technology in various scientific and technological disciplines to support the nation. It is also working on important non-nuclear fields, which are crucial for the development of science and technology in the country. PARR-III Reactor-Utilize the Plutonium reprocessing (PR). Charged Particle Accelerator- a nuclear particle accelerator. The directorate of science consists of four division, and each divisions are headed by deputy director-generals. In 2004, the PINSTECH administration had brought together all of the groups, and were merged into one single Division, known as Physics Research Division (PRD). Meanwhile, the PINSTECH had also merged Nuclear Physics Division (NPD) and Radiation Physics Division (RPD), Nuclear and Applied Chemistry Divisions as well. The below is the list of research groups working in RPD. Nuclear Chemistry Division (NCD) - The Nuclear Chemistry Division was founded in 1966 by Dr. Iqbal Hussain Qureshi. As of today, the division is the largest Divisions of the PINSTECH comprising five major groups. Nuclear Chemistry Division has gained experience in the characterization of reactor grade and high purity materials by using advanced analytical techniques and it is dealing with environmental and health related problems. Health Physics Division (HPD) - The Health Physics Division (HPD) was established in 1965 by the small team of health physicists. Founded as a group, it was made a division of PINSTECH in 1966. The division heavily involves its research in medical physics and using nuclear technology in medical and agricultural sciences. Nuclear Engineering Division (NED) - The Nuclear Engineering Division (NED, headed by Dr. Masood Iqbal, is one of the most prestigious and well-known Division of Pakistan Institute of Nuclear Science and Technology (PINSTECH). The Division was established in 1965 with the objective to develop technical expertise mainly in the area of Nuclear Reactor Technology. The NED has been used to provide technical assistance and training to the field of reactor technology. Electronics Maintenance Division (EMD) - The Electronics Division (ED, headed by Mr. Hameed, was formally established in 1967, recognizing its important role in scientific research and development at PINSTECH. The Division has rendered valuable service to the scientific effort by carrying out maintenance of scientific equipment and development of electronic instruments for use in research and development projects. In 1989, the ED was involved in the upgradation program of PARR-I Reactor led by PAEC chairman Munir Ahmad Khan. The ED had supplied and developed electronic material and system for the PARR-I Reactor, and had successfully converted PARR-I to utilize HEU fuel into LEU fuel. An outstanding achievement ED was the design and engineering of nuclear instrumentation of research reactor ( PARR-1) which required a very high degree of sophistication and reliability. General Services Division (GSD) - The General Services Division (GSD) is responsible for the routine operational research, maintenance repairments of the laboratories, upkeep and development of engineering services such as civil, electrical, mechanical workshops, air conditionig a well as water supply to PINSTECH and annexed labs. Computer Division (CD) - Computer Division (CD) was established in January 1980 with an aim to provide service and support to the researchers and scientists of PINSTECH in the area of computer hardware and software. Although computer division is still providing computer hardware and software services but it has gradually shifted its activities from being only a service provider division to an important design and development division. The Directorate of Technology (D-TECH) consists of 3 divisions that are Materials Division (MD), Isotope Application Division (IAD), and the Isotope Production Division (IPD). Materials Division (MD) - Materials Division (MD) was established in 1973, with aim of to provide technical assistance to other PAEC's projects on development, production and characterization of materials. The Directorate of Coordination, headed by Engr. Iqbal Hussain Khan, is an administrative directorate which consists of 3 administrative divisions. The Scientific Information Division (SID), Human Resource Development (HRD), and Management Information System (MIS), are included in this division. Scientific Information Division (SID) - The Scientific Information Division (SID, headed by Dr. Ishtiaq Hussain Bokhari, was established in PINSTECH in 1966. It was upgraded into a full-fledged division in 1984. SID is the central source of scientific and technical information not only for Pakistan Atomic Energy Commission but also for other scientific organizations and universities in the country and is responsible for the efficient acquisition, storage, retrieval and dissemination of Scientific and Technical information in support of the PAEC program. ^ et. al. staff wrtier. "PINSTECH's research and Development". PAEC, PD. Retrieved 14 November 2014. ^ a b Bashir, Asif (12 May 2012). Akhter, PhD, Javed Iqbal; Khan, Iqbal Hussain, eds. "Editor's Corner" (PDF). PINSTECH Newsletter (PINSTECH Newsletter) 2 (16). Retrieved 14 November 2014. ^ a b c d e f g et. al. Unknown. "Pakistan Institute of Nuclear Science and Technology". Pakistan Chemistry Society. Retrieved 15 November 2014. ^ a b Hasnain, PNRA, S.A (December 7, 2005). "Dr. I.H. Usmani and the Eary Days of the PAEC" (PDF). 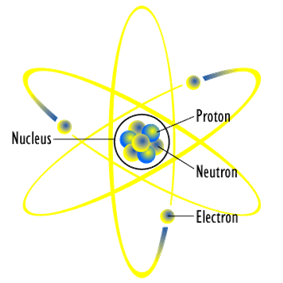 The Nucleus (Islamabad: The Nucleus) 42 (1-2): 13–20. Retrieved 16 November 2014. ^ Ahmad, Syed; Ahmad, Mansoor; Khan, H. "Timelime". Pakistan Defence Consortium. Retrieved 16 November 2014. ^ a b c d e f g h i Khan, Feroz Hassan (2012). Eating grass the making of the Pakistani bomb. Palo Alto: Stanford University Press. ^ Shahidur Rehman, §The Theoretical Physics Group, A Cue from Manhattan Project?, pp51-100, Long Road to Chagai, 1999, Printwise Publications. ^ a b c d e Fraser, Gordon (2010). Cosmic Anger: Abdus Salam - The First Muslim Nobel Scientist. Oxford University press. ^ Lai, editors, Z. Hassan & C.H. (1983). Ideals and realities : selected essays of Abdus Salam. Singapore: World Scientific. 2He+22.4 MeV equation for balancing the Q-value and energy balance in a fission device. ^ The Nuclear Engineering division was used in the designing and construction of PARR-II. ^ "Nuclear Material Division" (Web cache). ^ The Isotope Application Division (IAD)was founded by Dr. Naeem Ahmad Khan in 1971. Hafeez Qureshi was made director general of the RIAD Division. The RIAD was the first division that had put efforts in the development of the fission device in 1972. ^ "Radiation Isotope Application Division" (Web cache). ^ "Scientific Information Division" (Web cache).